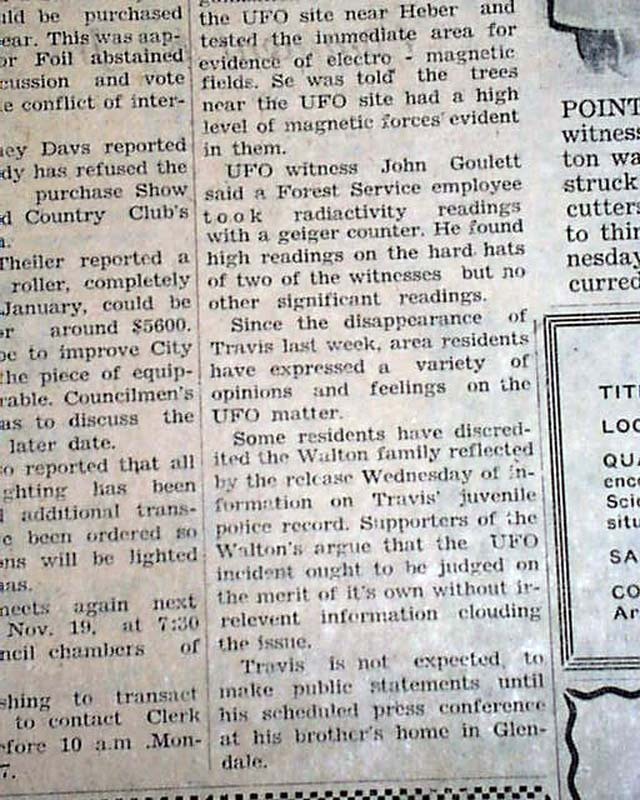 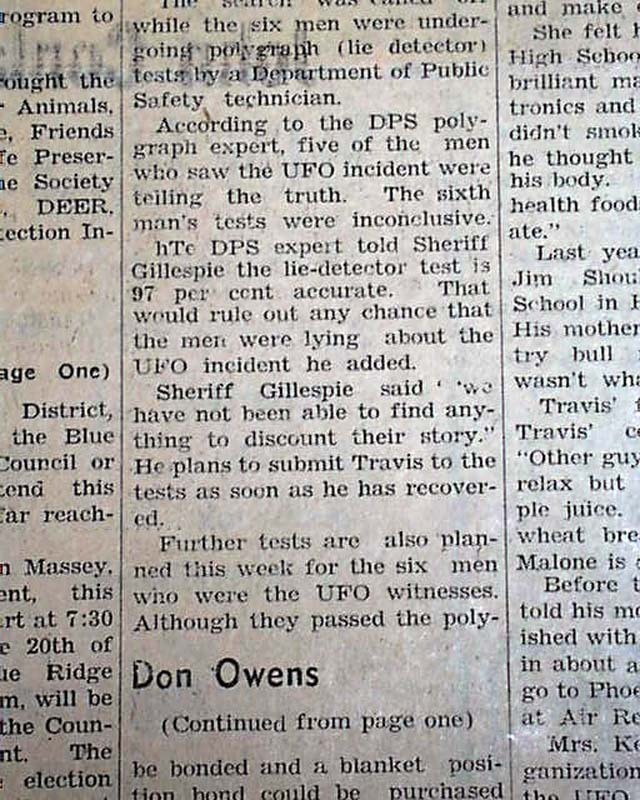 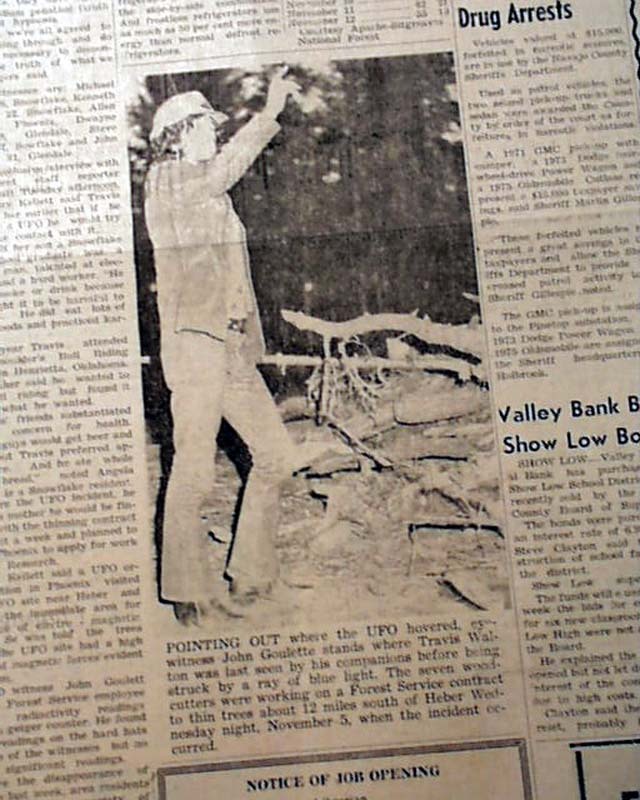 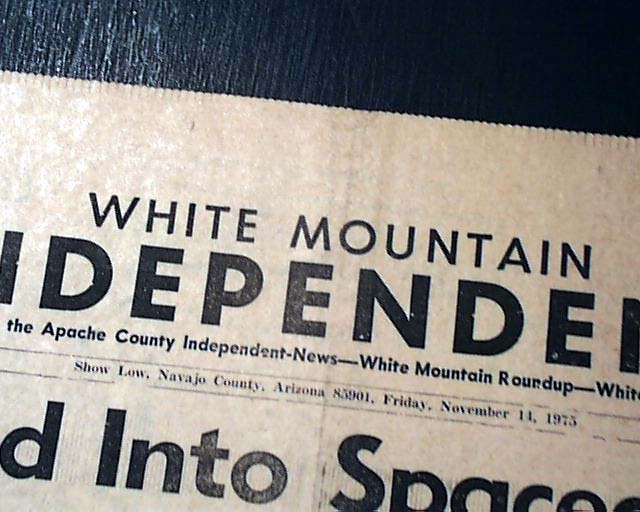 WHITE MOUNTAIN INDEPENDENT, Show Low, Arizona, Nov. 14, 1975 A truly fascinating newspaper and very rare as this is essentially the "hometown newspaper" of perhaps the most famous alien abduction case in American history. 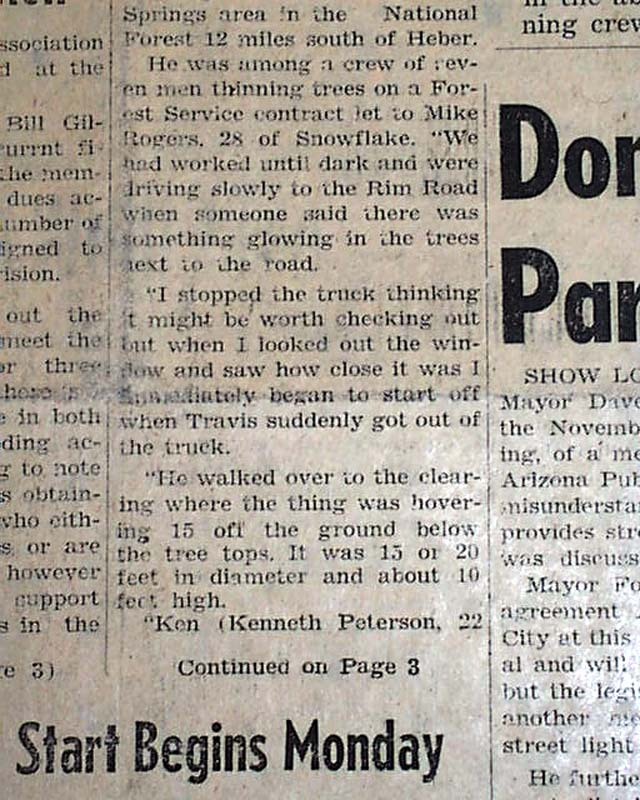 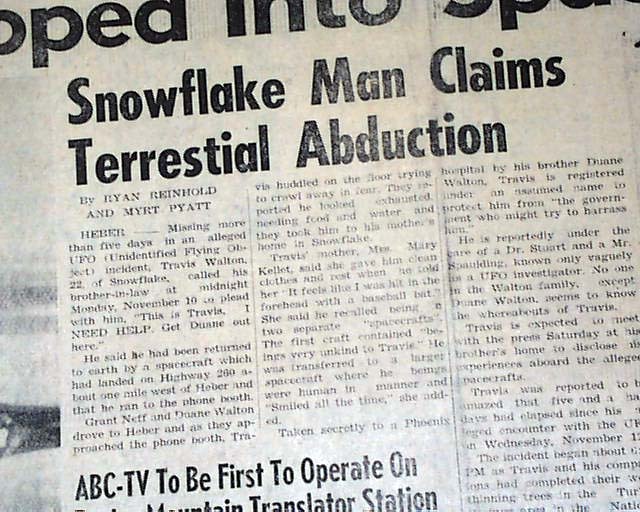 This small town, weekly newspaper published just 38 miles from the abduction site involving Travis Walton, who lived in nearby Snowflake, Arizona. 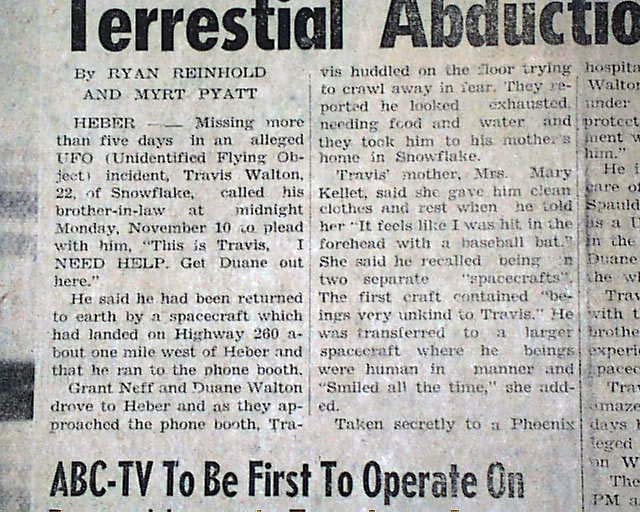 The hyperlink has considerable detail on the abduction details of Walton, which are summarized in this newspaper as well. 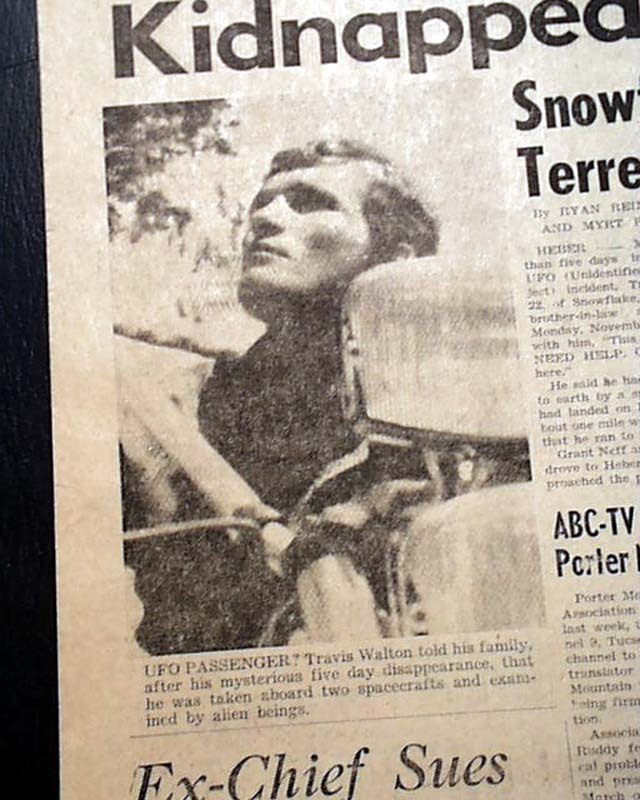 The front page includes a photo of Walton with the caption beginning: "UFO Passenger?..." 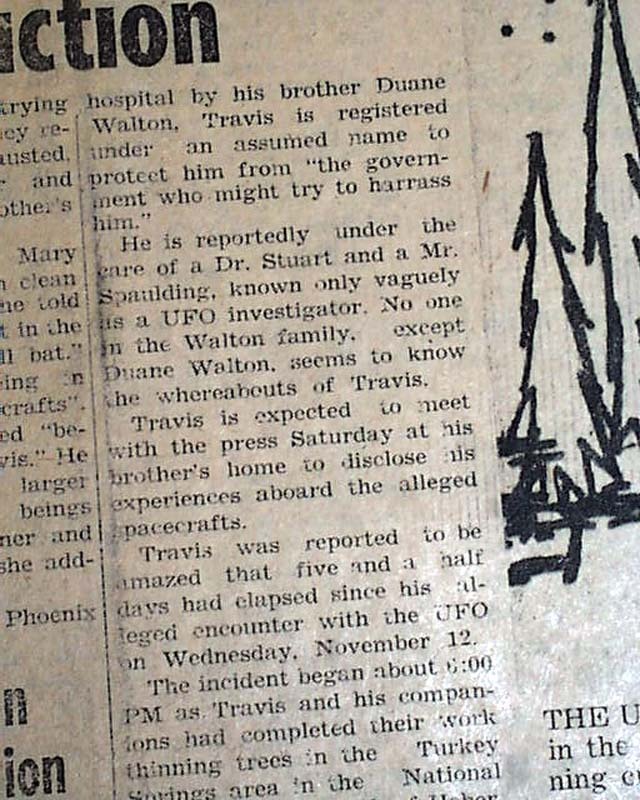 as well as a sketch of: "The UFO that allegedly took Travis Walton of Snowflake into space...", corroborated by eye-witnesses, which dramatically escalates the credibility of this fascinating story in the minds of UFO researchers. 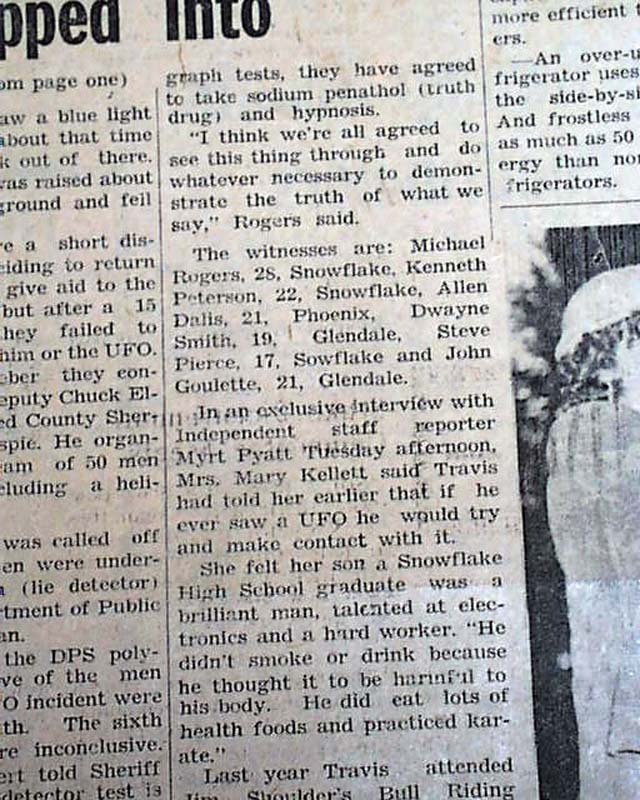 The article continues inside where are found two more related photos. 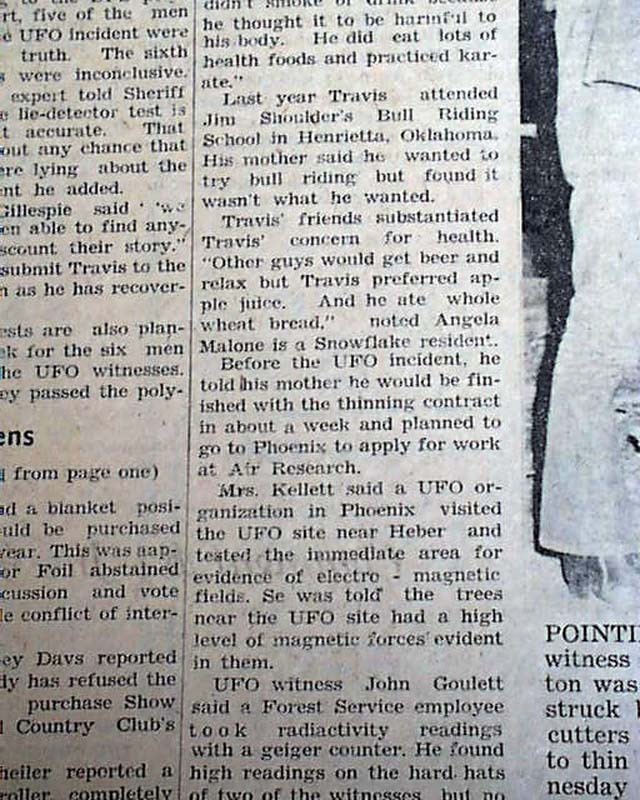 This story was made into a motion picture "Fire In the Sky" in 1993. 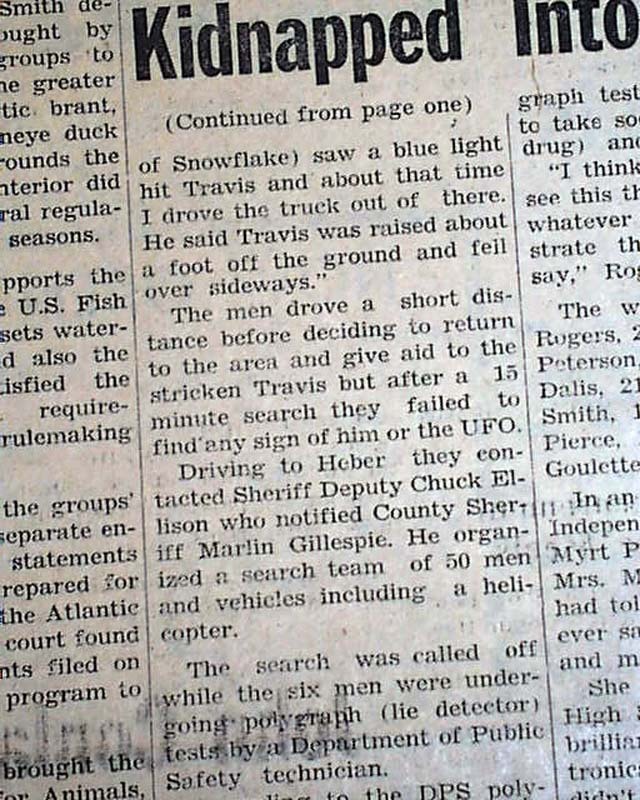 I cannot imagine a better newspaper report of this famous alien abduction case. 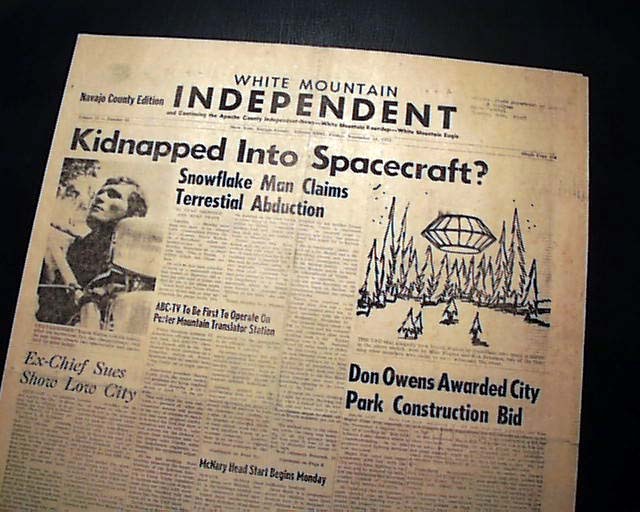 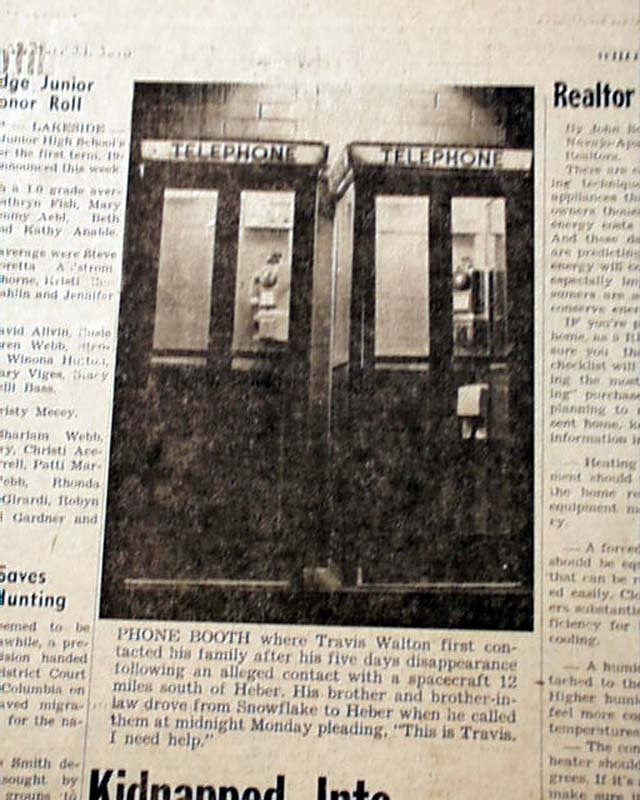 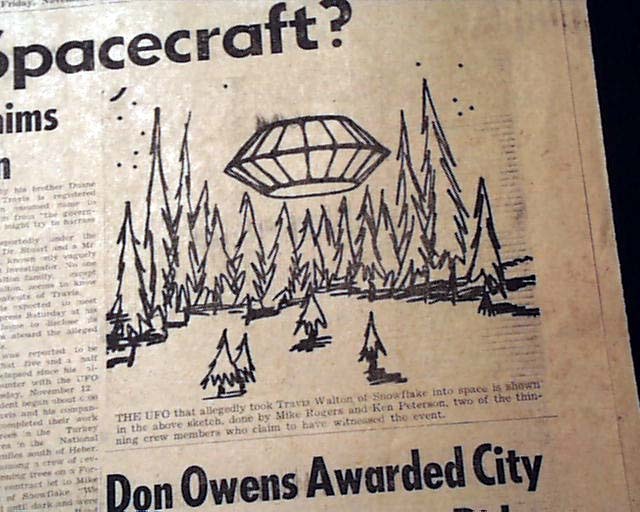 The banner headline, the detailed article, the photos and illustration, the proximity of the newspaper to the site where it happened and the town where Walton lived (Show Low is less than 20 miles from Snowflake), and timeliness: the abduction occurred Nov. 5, he was returned to earth Nov. 10; this is a weekly newspaper. 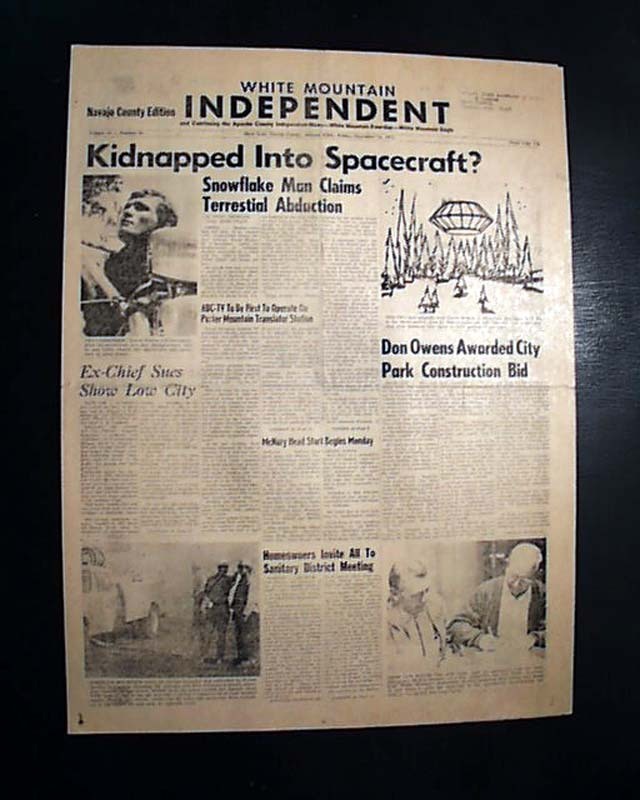 Complete in 6 pages, great condition.